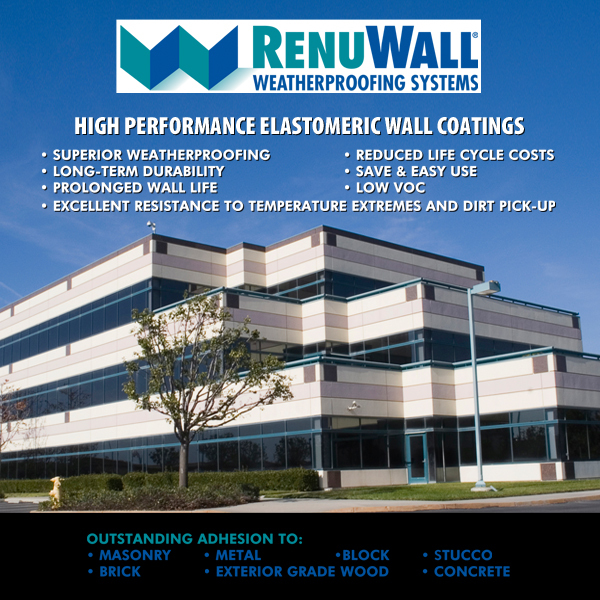 The RenuWall® Weatherproofing System is an excellent and cost-effective way to weatherproof and prolong the life of your exterior walls. 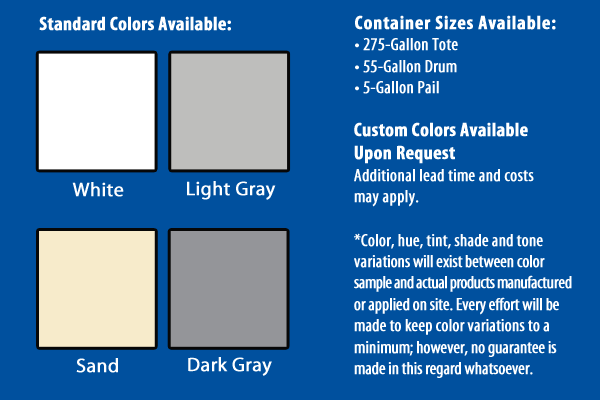 This system provides outstanding resistance to weathering, temperature changes, ultraviolet radiation and mildew. It retains its bright color, long- term flexibility, and breathability for many years, resulting in excellent adhesion, elongation and toughness. This watertight weatherproofing system can be installed right over your existing walls. The RenuWall Weatherproofing System requires minimal maintenance and offers worry-free weatherproofing. RenuWall® provides a tough film that moves with the expansion and contraction cycles of a building to keep hairline cracks well sealed. As cracks occur in a wall, RenuWall bridges these openings to maintain a water tight and attractive surface. Superior dirt pick-up resistance allows RenuWall to continually look fresh and new throughout its lifespan.